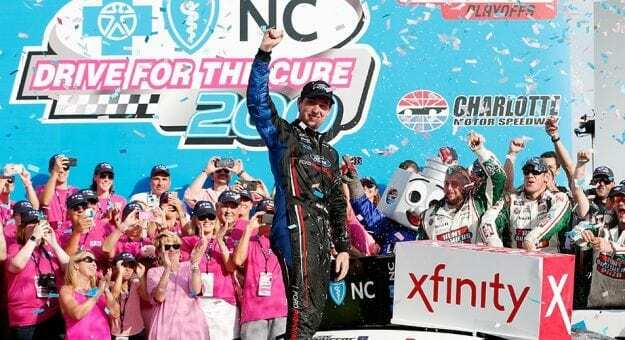 The NASCAR Xfinity Series takes to the ROVAL Saturday at Charlotte Motor Speedway for the Drive for the Cure 200. 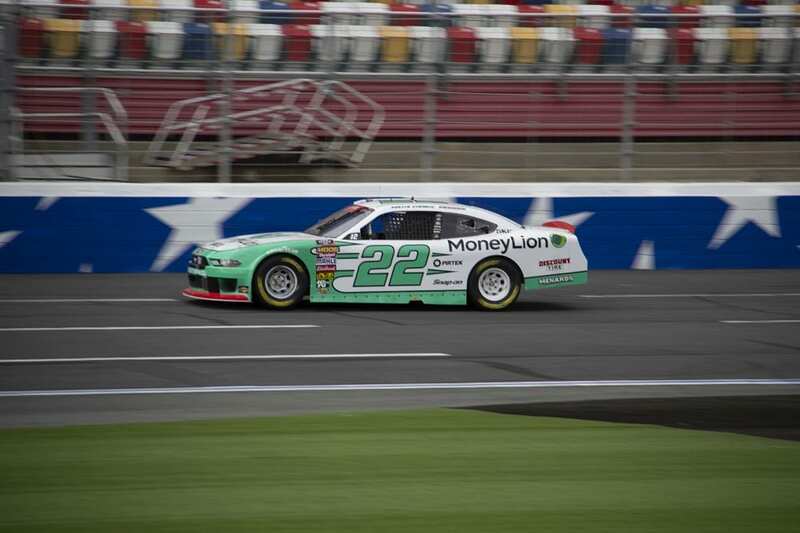 Prior to the race the Monster Energy NASCAR Cup Series drivers participated in 2 practice sessions. Predictions that the weekend’s races are going to be tests of survival look very accurate. More trouble on the ROVAL greeted drivers in today’s prep sessions. 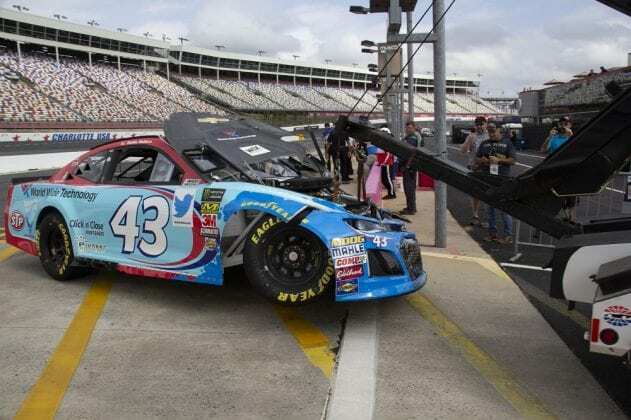 Bubba Wallace(43) nailed the tire wall in the backstretch chicane. His car got airborne going over the blue rumble strips on exit. Erik Jones(20) followed suit in the same section of the track. He out-jumped Bubba clearly catching more air than the 43 car. For Jones, the wreck did more than damage his race car. 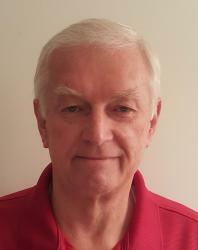 He will start from the rear of the pack tomorrow needing a victory to advance to the next round of the playoffs. In the 2nd practice session of the day, driver’s seemed more reserved. Few pushed their cars to the limit. Until just before practice concluded. Brad Keselowski exited the front chicane with too much speed, lost control and hit the front stretch wall just under the starter stand. Keselowski, who was set to start 25th, will only lose 15 positions. However, he will likely go to a backup car with no practice time on it. 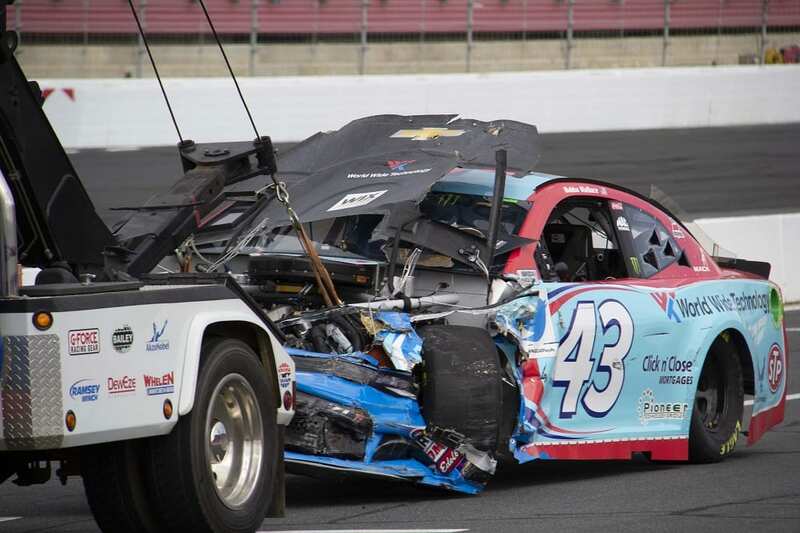 Everyone will be watching the Xfinity race to see if the carnage continues. Can you race side by side through the infield portion of the ROVAL? Yes, you can. 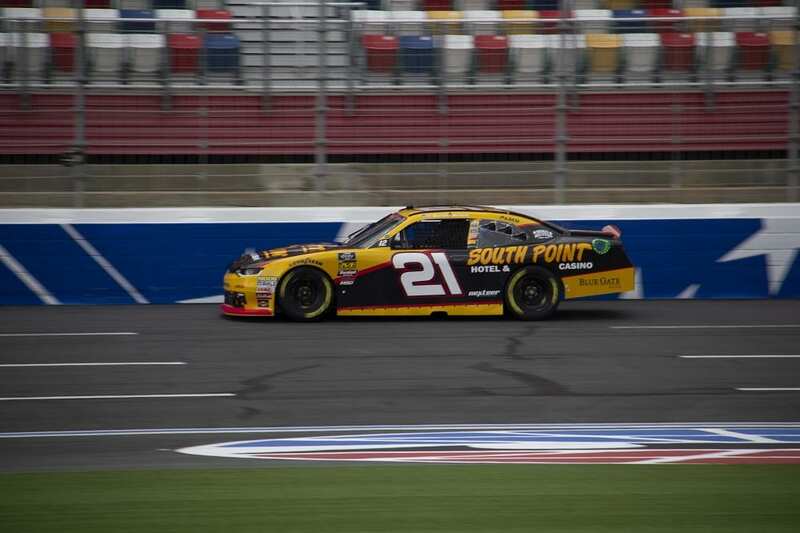 Austin Cindric(X22) and Daniel Hemric(X21) gave the fans a show on the first lap of the Xfinity race. They battle door-to-door through the first 7 turns until Cindric pulled into the lead exiting Turn 8. Out of the infield, the cars climb the banks of what would be Turn 1 on the conventional oval. The cars seem to line up single file on the banking. 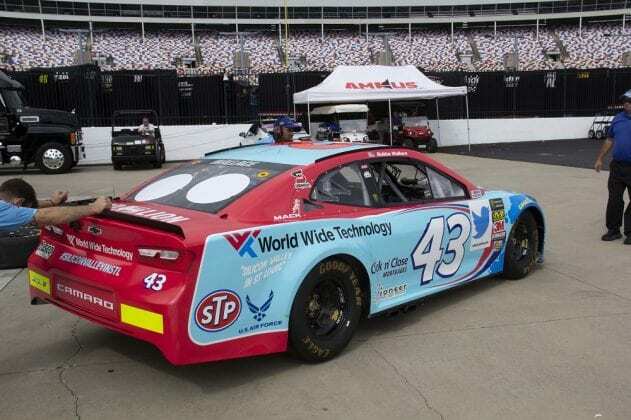 Restarts should be exciting today and tomorrow for the Cup cars. 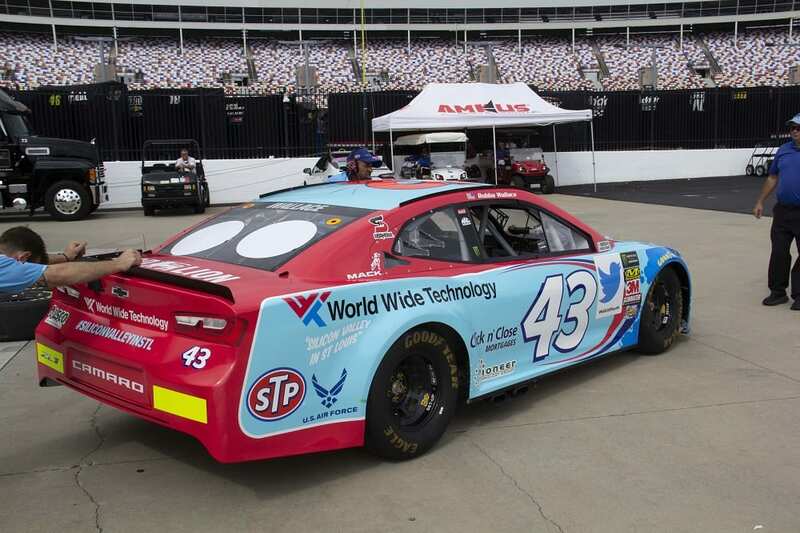 Stages for the Xfinity cars on the Roval are 15, 15, and 25 laps. The track is 2.28 miles long. The 55 laps are equal to 125.4 miles or 201.8 kilometers. Passing is possible at a number of points around the track. Especially when everyone is playing nice. Tire dropoff is the main complaint from drivers at the end of Stage 1. Hemric won the first Stage. A couple of spinouts, some detours through the grass, but nothing serious enough to throw a caution. Remarkably the Drive for the Cure 200 was pretty calm through the first two Stages. Christopher Bell(X20) won Stage 2 and picked up the playoff point that accompanies a Stage win. The driver give and take went out the window at the start of the Final Stage. Pushing and shoving their way into Turn 1 the first big incident of the day occurred. Two wide works when you dive off the oval into the infield portion of the course. But, 4-wide is a problem. The race is on for real at this point, expect the aggression to ratchet up from here. Chase Briscoe(X98) took the lead off of pit road after the pit stops at the end of Stage 2. 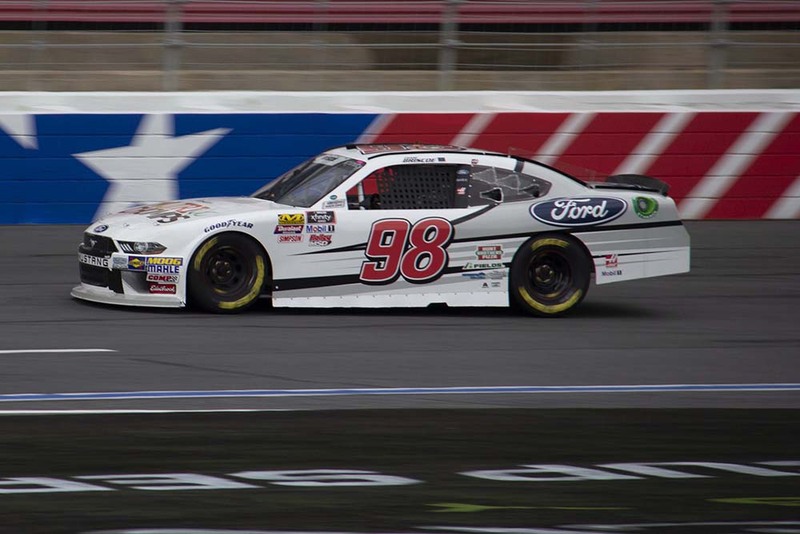 Chase Briscoe had never won in the Xfinity Series. Until today. To become the first winner at the ROVAL is a huge feather in the cap for this young man. He never let anyone get close enough to challenge him over the last half of the race. Will the Cup drivers show the same amount of control in the Bank of America Roval 400 tomorrow? Can’t wait to find out.